Do you wonder if life continues on beyond physical death? Have you heard from your deceased loved one? 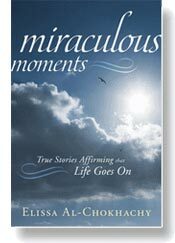 Miraculous Moments: True Stories Affirming That Life Goes On is filled with validation of life after death. This compelling grief self-help book shares numerous accounts of after death communication, nearing death awareness and near death experiences. According to the Library Journal, "not only does this book offer hope and consolation for the grieving, it provokes thought on the finality of death as society generally views it." The author spent over a decade collecting uplifting stories for this book and its upcoming companion book, Our Children Live On: Miraculous Moments for the Bereaved. Both books offer invaluable hope and reassurance. What a blessing to know that our deceased loved ones live on! 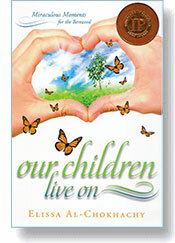 "Our Children Live On: Miraculous Moments for the Bereaved is filled with hope. The heartfelt stories contained within reassure us that love does not end, and death does not conquer the human spirit." 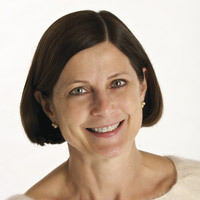 "Our Children Live On contains the truths and experiences I have had personally and professionally. Our consciousness and love are immortal. When we quiet our minds to become receptive, miraculous moments occur. Read on, experience, and believe."